If you’re a resident of the Golden State, you know that the cost of living can get pretty high. That’s why cheap automobile insurance is always on the mind of many California residents. For low-cost insurance for your car, motorcycle, RV, or boat, call CHEAP Insurance/Bucheli Insurance Agency for an auto insurance quote today. In California, auto insurance is required by state law. It’s easy to find a cheap auto insurance company in California, but for the best auto insurance coverage at rates you can afford, call CHEAP Insurance. At CHEAP Insurance, we aren’t just another California discount car insurance company. We work with the biggest insurance providers to create a low cost auto policy that is tailored to your individual needs. Shopping for affordable car insurance in California is sometimes a complicated and frustrating process. CHEAP Insurance makes it easy to get car insurance online. Through our website, you can obtain quick auto insurance quotes online, as well as insurance quotes for your boat or RV, rental property, or California home. But we don’t just give you the best auto insurance rates in California. We also offer umbrella coverage for protection over and above a standard California insurance policy. Would you rather speak to a live agent for your auto insurance quote? Call CHEAP Insurance at 800.486.1866 for an instant, affordable car insurance quote. For California drivers who have had their license suspended, CHEAP Insurance offers cheap SR22 insurance coverage in compliance with California’s liability requirements. If you need a cheap SR22 auto insurance quote, call or ask about a quote through our website. California motorcycle riders have benefitted from CHEAP Insurance since 1974. The relationships that CHEAP Insurance enjoys with major insurance carriers affords our customers discounts and options to create the ideal coverage, up to and including medical for yourself and your passengers. There are certain risks that are unique to California boats and watercraft, so CHEAP Insurance partners with the carriers who provide coverage options created specifically to insure against such risks. For continuous protection without breaking the bank, CHEAP Insurance can help you find just the right amount of coverage that you need-no more, no less. RV insurance in California can often extremely expensive, but CHEAP Insurance, as always, has ways of unearthing the best coverage for your budget. Ask about options and discounts that you may be eligible for, and we’ll work together to make sure that your home away from home is fully insured and protected without undue expense. Your California home is the investment of your life-and it merits insurance coverage that will fully protect and insure it against damages and losses. 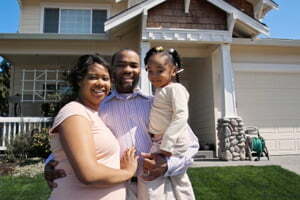 CHEAP Insurance has California homeowners’ policies at outstanding rates. If you’re renting a home, apartment, or condo in California, CHEAP Insurance also provides affordable renters insurance to make sure that your possessions are insured, as well. Umbrella insurance coverage allows you to customize your insurance limits should your losses ever exceed your coverage. Umbrella insurance may also provide protection where other policies do not. If you have concerns that your California insurance may not be extensive enough, CHEAP Insurance has solutions through umbrella coverage. At CHEAP Insurance, we pride ourselves on being an auto insurance agency that offers some of the lowest insurance rates in the state of California. But we’re not just about providing discount insurance. 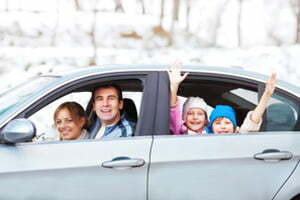 We’re an auto insurance company you can trust because our primary focus is our customers. CHEAP Insurance partners with major, reputable auto insurance companies to narrow your options down to the cheapest car insurance possible within California legal requirements, as well as any additional coverage to meet your individual needs. When you obtain auto insurance quotes from CHEAP Insurance, you can be certain that you’ve found the best deal in California. For an insurance quote for your vehicle, residence, or property, call CHEAP Insurance toll-free at 800.486.1866 (M-F, 9 am – 6 pm PT) or ask for a quote online at www.cheapinsurance.com/California-cheap-insurance/.